Cooper Spur Alpine Team offers programs for athletes age 6-18, with each program providing different levels of commitment based on goals and interests. Our programs are designed to provide training, competition, growth opportunities for young skiers and racers in a fun learning environment. All of our ski programs are built on solid fundamental skills in both free-skiing and race technique, with small groups and maximum ski time. We believe learning is based on repetition, but fun is what provides the motivation. 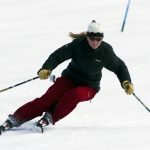 Once the basic skiing skills are mastered, coaching emphasis shifts to refining technique and developing the physical, mental, and emotional skills to be a competitive athlete and good teammate. Cooper Camp is a four day introduction to ski racing and ski team fun! The camp integrates basic skiing and racing fundamentals through fun drills, gate training, and free skiing for optimal skill acquisition. The camp finishes with the annual Cooper Cup Giant Slalom Ski Race on the last day. Children that can ski green runs and load the chair are eligible for this 4-day program. A child can decide to join the team afterwards, by upgrading to one of our Junior Development Teams. Requirements: Ski gear*, racing helmet, lift tickets or season pass at Meadows. Our ‘Devo Team’ program is our entry level program for ages 6-13 (U8-U14) which starts with the Cooper Camp and skis every Saturday January through March. This program is designed for the child who has already learned how to ski, but needs further instruction on the basic skills and techniques that will enable them to go anywhere on the mountain. Skier’s will build a base of solid skiing skills and basic fundamentals through directed free skiing, gate training, and friendly competition. The program emphasizes improving free-skiing, basic race fundamentals, skiing etiquette/safety and fun! The Devo Team will participate in local Mt. Hood races if desired. The program starts with Cooper Camp at the end of December. Every Saturday January through March 17. Fees Include: Team sweatshirt, Cooper Holiday Camp, skiing each Saturday from 9am – 3pm January – mid March. All Sunday Mt. Hood Youth Ski League races are supported: Kid’s Kandahar, Cooper Dual, Candy Cup and OR 4-Way (U10s and older) and Meadows Challenge. Our Training Team requires more commitment and is designed for the U10-U14 athletes (8-13yrs). The training team skis on both Saturdays and Sundays, starting in early December. Training Team athletes will emphasize the development of basic skiing fundamentals through focused free skiing and gate training, with an introduction to race tactics in GS & SL. The Training team will be able to race in all the local Mt. Hood races including the ‘Mt. Hood Mitey Mite Series Races’ as well as the 4-Way Championship Race, Meadows Challenge Race, and Mt. Bachelor May Day Race. Ski gear*, race helmet, season pass to Cooper Spur & Mt. Hood Meadows, USSA Youth Competitor License for U-14. Register online at www.ussa.org. Fees Include: Dryland starting in mid-October, Cooper Holiday Camp, training every Saturday and Sunday December through March, team sweatshirt and entries for all Mt. Hood YSL Council Races. Additional race entry fees for non Mt. Hood Council YSL races. Training days: Weekends 9-3pm, plus one training night midweek. Saturdays at Cooper Spur, Sundays & Wednesday nights at Mt. Hood Meadows, some Monday training will also be available. Night training will run December through March, dependent on Meadows night schedule. Requirements: Ski gear, race helmet, U14-U12 athletes: SL protective gear and back protectors for speed events (U-14s only), and season passes for Cooper Spur and Mt. Hood Meadows, USSA License for U14 racers. Fees include: Dryland training starting in mid-October, Cooper Camp, weekend & night training at Meadows, Hood River non-contract Mondays, and coaching at all races, USSA or Mt.Hood YSL series. The USSS Competition (COMP) Team is for the very motivated U14/U16/U19 (13-18 year old) athlete who wishes to train 4 days a week or more. 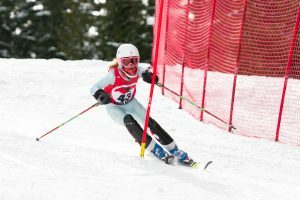 Besides racing, these athletes will focus on all-mountain free-skiing, technical drills, gate training (including speed elements of super-G & downhill), goal setting, mental visualization, teamwork, and leadership. The COMP team will attend select USSS scored NWC, Evergreen Cups, and U14 PNSA Divisional series on and off Mt.Hood. Training will start in September with 3 days of dryland training throughout September, October, and November. On hill training will start at the end of November with a 5 day fall training camp. Training days: Weekends plus mid-week training options: Training includes Wednesdays and Thursday nights at Meadows 4:30-7:30pm, Hood River Schools Non School Professional Education Mondays, Federal Holidays, Saturdays, and Sundays, December through April. COMP Team athlete requirements: Skis: GS, SL, SG, FIS race helmet, all slalom protective gear, Back protector for all GS, SG, DH training and races. Season passes for Mt Hood Meadows and Fusion Pass. USSS Competitor License required. U19/U16/U14 USSS Training Group fees include: Dryland training: September – November. Training and Coaching November through early April. Saturday, Sunday, Wednesday Night, Thursday Night, Non-contract Hood River Mondays and Holidays. CSAT summer camps provide athletes ages 9 yrs and older summer training opportunities in GS and Slalom. Our emphasis is on the continuation of skill development for all disciplines, including gate drill progressions and competitive training environments. With our experienced coaching staff we are able to offer a high level training environment for our athletes. Sun Peaks Fall Training Camp 2019 – November 22-27. 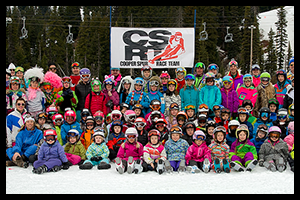 CSAT’s fall ski training camp is going to Sun Peaks Canada! The skiing and training is great at Sun Peaks and the Canadian exchange rate makes the trip a sweet deal! Sun Peaks is in the Okanagan Valley which is famous for ski areas and lack of crowds. The camp will focus on both GS and SL fundamentals with early season drill progressions, drill courses and full length courses. Training camp will be limited to 12 athletes, U14 and older athletes will be given priority. Athletes who stay with the team must be U12s or older, DOB 2008. Younger athletes may be allowed with PD approval. Please email if your athlete would like to participate, no later than 9/1/19. Deposits will be due 10/1/2109. 5 days of meals; breakfast, lunch, dinner. All CSAT skiers are eligible to participate in Cooper Camp during the Christmas holiday ski week. Cooper Camp integrates basic skiing and racing fundamentals through fun drills, gate training, and free skiing for optimal skill acquisition. Children that meet our basic requirements are eligible for this 4-day program. You can decide to continue afterwards, by upgrading to one of our Junior Development Teams. Fees include: Supervised fundamental skill development training and free-skiing, to be completed with our annual Cooper Cup Giant Slalom Ski Race on the final day, and Cooper Camp T-shirt. Requirements: Ski gear, helmet, lift tickets to Cooper Spur. Skier must be able to ride chair lift and make turns on easy terrain (green runs). Location: Cooper Spur, conditions permitting. Mt. Hood Meadows is our alternate site. Shana was hired as the Program Director in the Spring of 2012. 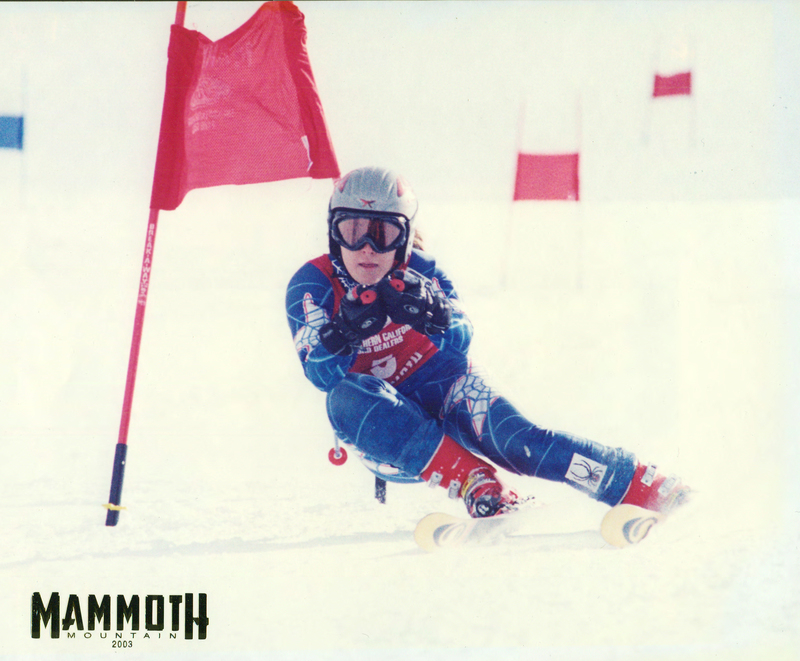 Shana raced on the US Ski Team from 1993-1998 and competed at the World Cup and Europa Cup level in DH and SG. After retiring she attended college and was named first Team All-American while skiing for Whitman College. 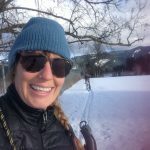 After college she coached throughout the Pacific Northwest and Inter Mountain Ski Divisions, with coaching positions at Mt.Bachelor Ski Education Foundation, Sun Valley Ski Education Foundation, Bluewood and Rocky Mt.College. 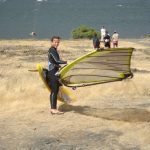 When not keeping track of 200+ kids she mountain bikes, gardens and windsurfs. Ryan started coaching on Mt. Hood shortly after finishing his racing career in 2000. He coached YSL freeride and racing in Park City for several years. 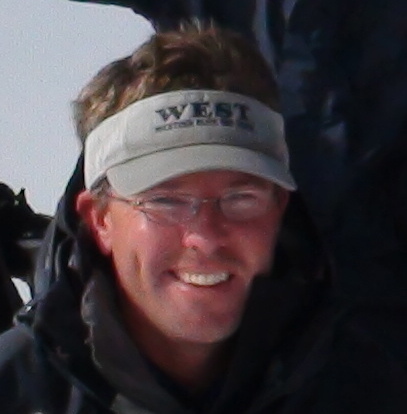 In 2006, Ryan moved to the Southwest and took on the position of Head USSA/FIS Coach for Flagstaff Alpine Ski Team. In 2009, he and his wife Karen headed back to Mt. Hood Meadows where he had been the Head U19/U16 Coach for Meadows Race Team. Ryan is very excited to now be a part of the CSAT family and share his passion for helping athletes develop strong skiing skills while having fun. When not on snow, Ryan loves mountain biking and exploring the outdoors with his wife and two kids, Harry and Hannah. Ben grew up skiing outside Syracuse, New York, where a vertical drop of 500 feet provided all the thrills a kid could hope for. Dreams of ski racing and being a mountain man led to 5 years attending Burke Mountain Academy, followed by successfully competing as a Division One All American Skier at Middlebury College. Following graduation, a love of the sport led to a career as a ski coach at Steamboat Springs Winter Sports Club and Ski Club Vail. 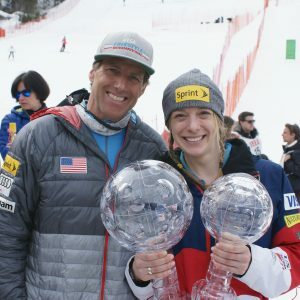 Ben was named the USSA Rocky/Central coach for the Topolino and Whistler Cup Events and was later charged as the USSA Regional lead for the Women’s Nor-Am Circuit. Ski racing brought Ben around the world, ultimately to land in Hood River with his wife and two children. Ben has been coaching for CSAT for the three years. Kate grew up racing in the Northwest and was named to the PNSA and Western Region Team when she was 16 years old. She raced FIS at the national an international level. 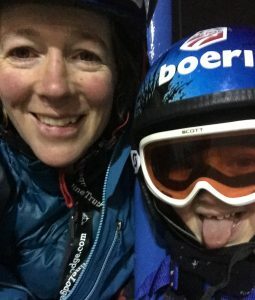 After racing she went onto to become a PSIA and USSA Level 300 coach and was named to the PSIA Northwest Tec Team team thirteen years running. In her role as a PSIA Tec Team member she taught coaches how to coach and led clinics throughout the west coast. In the last 5 year Kate has lead the FIS program at MHA and was the YSL Head Coach at Multnomah Athletic Club. When she is not teaching skiing to athletes or coaches you can find her out on the fire line as principle partner of the American Fire Company. 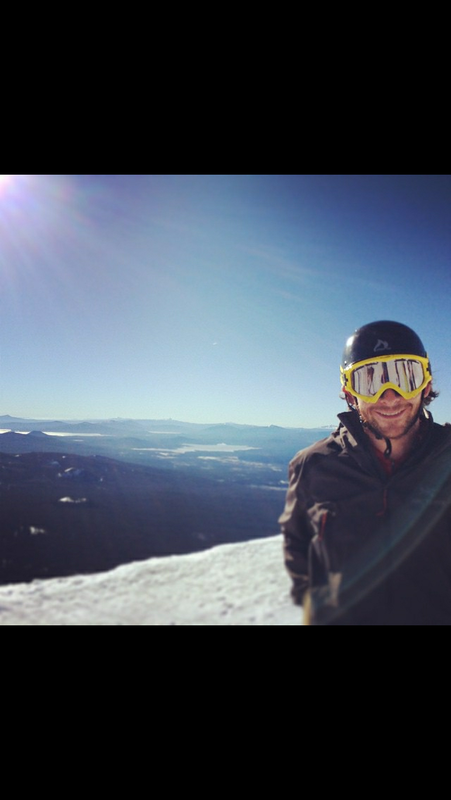 Jerry is a Native of Mt Hood where his passion for skiing led him to racing and competing as a USSA racer for 6 years. His need for speed and love for competition resulted in a professional Motorsports career. After two action packed decades, too many injuries and a remarkable career, he settled down in the Columbia Gorge. Jerry has been coaching ski racing for the last 6 years, is a USSA Level 200 certified coach and holds a National Ski patrolcertification. Jeri is very excited to join CSAT’s coaching staff and share his passion for racing and extensive knowledge of Meadows hidden powder trails with his young charges. His romance with the outdoors and ski racing is never exhausted and accompanied by his son, he can be found fly fishing, biking, boating and hiking in just about every remote outpost in the Pacific Northwest. Garth grew up in Seattle, skiing Crystal Mtn, and Snoqualmie pass with his family. His father was a ski instructor and soon, he followed in his footsteps through High School, teaching skiing. While attending College in Bellingham, Wa, he made the US Freestyle ski team for mogul skiing. He spent 9 years on the team as an athlete before coaching for the team for 11 years. He is a ussa level 3 mogul, and level 3 aerial certified coach. He loves to share his passion for spending time on skis. He lives in Hood River with his wife and two daughters. Jessica grew up skiing on Mt. Hood. She went to Mt. Hood Academy then raced for Rocky Mt. College. After college she moved to Mammoth, CA and coached for Mammoth Mountain Ski Team for a couple of years. After that she moved to Hood River and was head coach for Hood River High School Ski Team for 6 years. After getting married she moved back to Welches to start a family and become part owner of Cherryville Construction. Now she is looking forward to getting back to coaching. She enjoys skiing, biking, and hiking with her husband, Allen, and daughters Emelia, Adin, and Nomi. 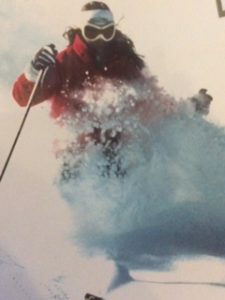 Sonja started skiing at the age of two and raced both in Austria and New Zealand. Years of ski instructing in Austria ignited a love for skiing with kids. Since moving to the US in 2007, she explored mostly backcountry and big mountain riding in Alaska and the PNW. In her second year with CSAT, she looks forward to help the kids become well rounded skiers who will have a life long love for the sport! Austrian ski instructor certified, USSA level I, and WFA Certification. When not skiing, Sonja is enjoying the Gorge with her husband and baby boy. 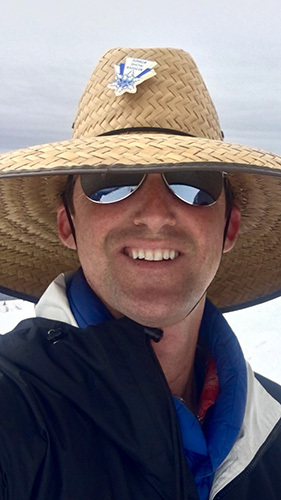 Michael grew up and started skiing in southeast Michigan; and yes it’s true what they say, some of the ski hills are old landfills! For a breath of fresh air, in ’98, he headed west to Durango, Colorado. At Purgatory Mountain Resort, he began what would become a 20-year journey with coaching and ski instruction. 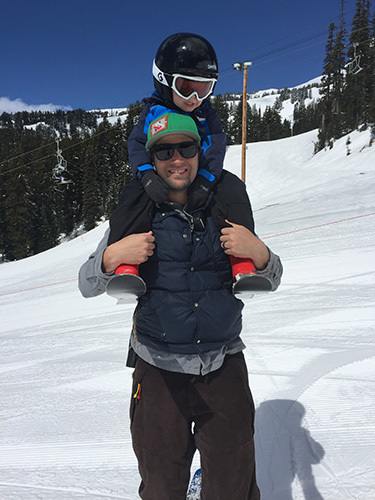 From the mountains of Colorado to Montana to Oregon, his involvement has included Kids’ Program Supervisor, Volunteer Adaptive Ski Coach, Kids’ and Young Adults’ Program Instructor, Adult Clinic Leader and a Staff Trainer at Mt Hood Meadows. He is a PSIA level 3 alpine instructor and level 2 adaptive instructor. He has a passion for the fundamentals of skiing and believes in order to ski fast, you have to ski well, and in order to ski well, you have to have fun doing it! Michael graduated from Montana State University – go Bobcats! And of course now go Ducks! – and during the week, works as an Architect in Portland. On the weekends, you can find him outdoors with wife Jenna, daughter Emi, and don’t forget Chance the dog! 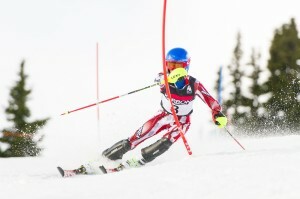 Justine grew up skiing in New Hampshire and raced high school in Massachusetts. After attending college in Boulder, Colorado, she ski bummed in Telluride, got a job as a lift operator and became enamored with mogul skiing. She made the U.S. Ski team and had the privilege to ski all of over the world in her 7 years World Cup career. In summers Justin trained on Mt.Hood’s Palmier Glacier and fell in love with the Columbia Rive Gorge. After retiring from competitive skiing in 2003, she worked in restaurants and become an RN. She now lives in Hood River with her husband and her 2 children, who ski as much as possible! She also enjoys mountain biking, windsurfing, and costume parties! Craig grew up in Bend, OR skiing at Mt. Bachelor. He raced for MBSEF then for Mt. View High School. He attended Oregon State University, while attending, he Coached the Corvallis High School Ski Team for 4 years before moving to Hood River, where he was the assistant coach for the Hood River Valley High School Ski Team for two years. Craig is excited to be back coaching as he encourages his son to learn how to race. You will often find Craig, his wife Sarah, and two kids enjoying the many outdoor opportunities around the Gorge. Jaimie grew up in the Black Hills of South Dakota. She found love in the outdoors and skiing at a young age. After finishing college she moved to Hood River where she took advantage of all the PNW had to offer. She has coached for CSRT the past 3 years and is a Level II Alpine instructor, working on her level III. She also holds her Children’s Specialist season and will see you on the mountain! 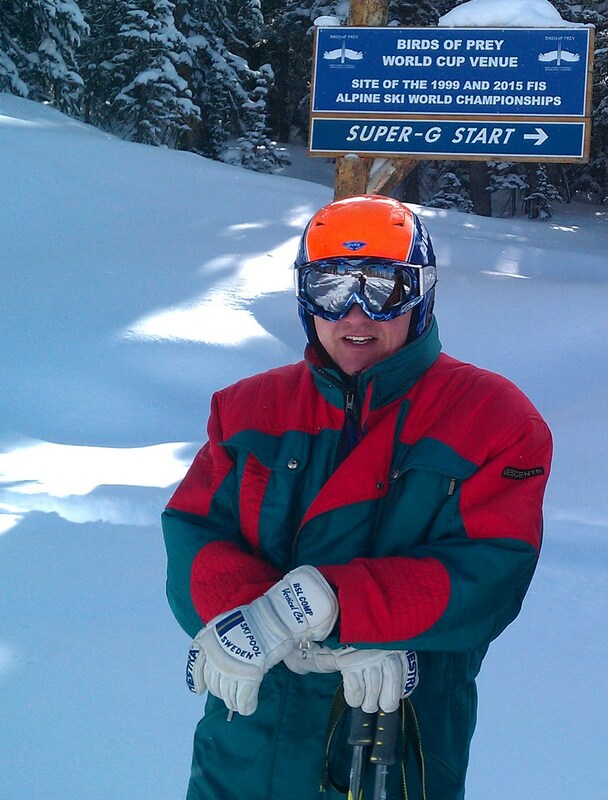 Garth joins the 2016 CSAT staff as a USSA Level-3 certified alpine coach and PSIA Level-3 certified instructor with over 35 years of experience. 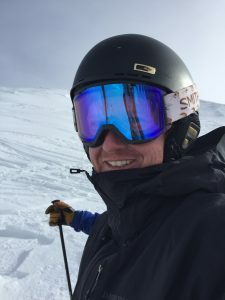 He has served in full-time positions at Timberline Lodge and Timberline Summer Training Center, Skyliners Ski Team, (now Mt. 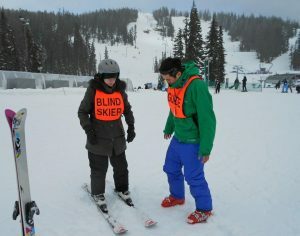 Bachelor Snow Sports Education Foundation), and most recently as a staff trainer for the Timberline Snow Sports School. Garth also served 5 years as Head Coach for the Corvallis High Ski Team and 1 year as President of the Oregon Interscholastic Ski Racing Association during which time he completed graduate school in Electrical Engineering at Oregon State University. Garth’s ski racing began in the mid-70’s as an off-season activity between competitive distance running in cross-country and track at Clackamas Community College. Garth’s love of skiing and working with skiers continues to be his inspiration towards returning to skiing full-time in the years to come. “It is an incredibly great privilege to be working with such a talented group of coaches and athletes at CSAT and I’m grateful for the opportunity to be a part of this program.” When Garth is not spending time on the ski hill he serves as Director of Technology at Phoseon Technology in Portland. Matthew grew up in Southern Oregon, where he spent his winters since the age of two skiing Mt. Ashland. With the encouragement of his parents and the competition with his two older siblings he quickly developed a love of the slopes. During high school he trained and raced for the South Medford High School Ski Team. Matthew went on to major in Elementary Education at Oregon State University (Go Beavs!) and furthered his passion for the outdoors by teaching classes through the college’s Adventure Leadership Institute. In the off season, you’ll find Matthew kayaking and whitewater rafting on Oregon’s rivers, or backpacking and camping in the wilderness. Becka grew up skiing in the Tahoe area and found a deep love for the snow early on! Originally learning to snowboard she became a snowboard instructor at Alpine meadows in 2003 and moved two Mt. Hood Meadows in 2005 as a PSIA certified ski and snowboard instructor. 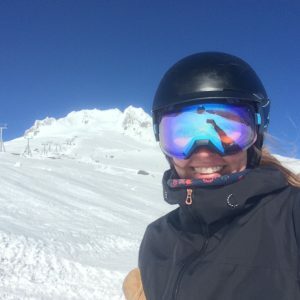 She has a level 3 AASI certification in snowboarding and a Level 1 PSIA for skiing, with a child specialist certification. Before moving away from Mt hood she was a Ski School Training Director for Meadows. Shortly after massage school she moved to Alaska to explore the big mountains and backcountry skiing of the far north. Eventually Becka moved back to the Mount Hood area with her family and two little girls in 2013. 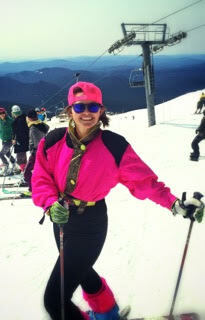 Beka has a passion for skiing that she is excited to share with CSAT’s little rippers! Madeline grew up in Wyoming, Colorado, and Oregon, she moved to Oregon in 2006 and is back in the area for the winters. 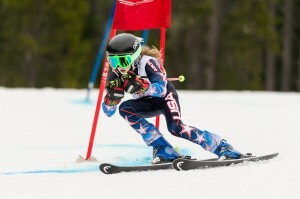 She was able to race during high school for the Sandy High Ski Team, and she has been skiing her whole life. 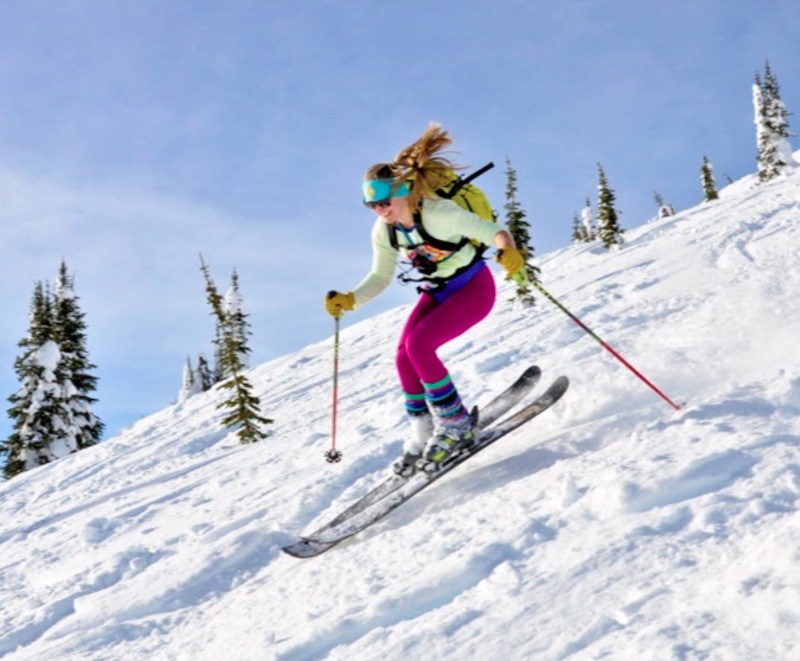 Maddy enjoys skiing and loves being able to share that passion and excitement with the racers of Cooper Spur Race Team. Madeline spends her winters working on Ski Patrol for Mt. Hood Skibowl. When shes not skiing she enjoys spending time rafting, hiking, and camping with family and friends! All Ski companies make good products and the coaches will be able to advise parents on which would be suitable for their athlete. Shaped or side cut skis are when the tip and the tail are wider to help the athletes to carve by creating an arc in the snow. Slalom skis tend to have more side cut than do giant slalom skis (short, quick turns versus longer turns). It is beneficial to go shorter rather than longer when choosing length for children. A shorter ski will facilitate turning, allowing quicker progression of basic skills and increase your child’s enjoyment of skiing. Their skis should be between the chin and the top of the forehead with slalom skis more at chin level and GS skis at forehead level. Check with your coaches before you purchase your child’s equipment. A softer flexing boot will be more effective than a stiffer boot due to strength limitations and skill level. To determine if a boot is soft enough for your child you should be able to see the forward boot flexion happening in the upper cuff simultaneously with the lower leg. If the upper boot cuff does not move or moves very little the boot is too stiff and will hinder your child in their skill progression. Boots should fit properly, tight but not uncomfortable. Remember the boots might feel too tight at first but will break in within a couple of ski days. Buying boots oversized is counter productive for both performance and fit. Buy boots that fit properly and check with your coaches if you have any questions about your child’s equipment. It is very important if you are training at night that you wear goggles with a clear lens. Dark lenses or goggles meant for daytime skiing are not effective at night & can not only hinder your child’s training but even make it dangerous when skiing gates if they cannot see properly. Night training is often colder, so remember to wear extra layers at night. All of these things will make for a more enjoyable skiing experience. USSA approved Ski Helmets are mandatory for all training and racing. It is required that racers wear their helmets at all training and races. No exceptions. USSA Competitors License is mandatory for U19/U16/U14 competing in USSA scored races. USSA Youth Licences is required for all U14s competing in the Buddy Werner Championships.